Know where you're coming from, know where you're heading to. You can find a myriad of bike maps in all our locations. In Brussels, we offer many perspectives on the capital city, and cycle path networks from all over Belgium. This touristic map will show you the way through Brussel's green lung. Beautiful touristic publication we developed together with visit.brussels. Includes everything to (re)discover the capital of Belgium and Europe by bike, including 8 inspiring routes. Links to (bike hubs in) Flanders. Bike hubs are well marked and mapped clearly. We sell maps for Flemish Brabant, the Coastal region, the Bruges agglomeration, Ghent and its surroundings and the Scheldeland region. 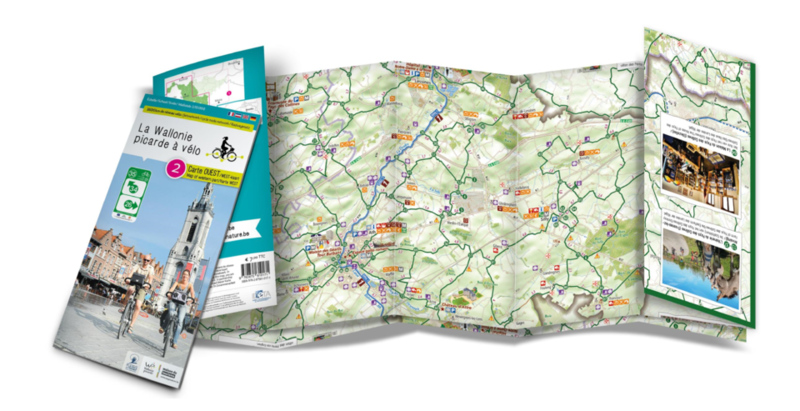 Small, handy maps (1:110 000) are available for Walloon Brabant, Namur, Liege, Hainaut and Luxembourg.